Hida Takayama, located in the center of Japan islands, has thrived as a city with townspeople culture while surrounded by forests. Wanosato stands peacefully in our spacious site with great nature. Enjoy the hospitality around the sunken heath and the warmth of the house with a steep rafter roof, listening to the folklore. Let your imagination wander as you listen to the storyteller. 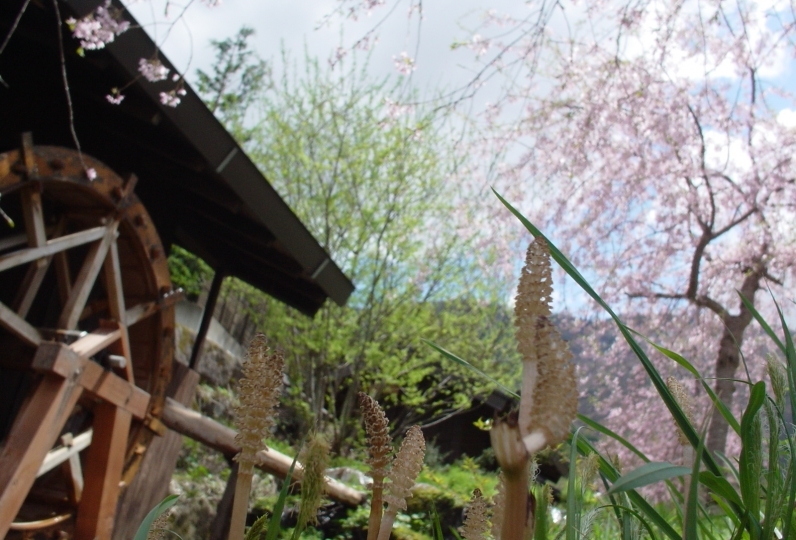 It is also fun to imagine the ancient landscape of Japan, hearing the folk tales. 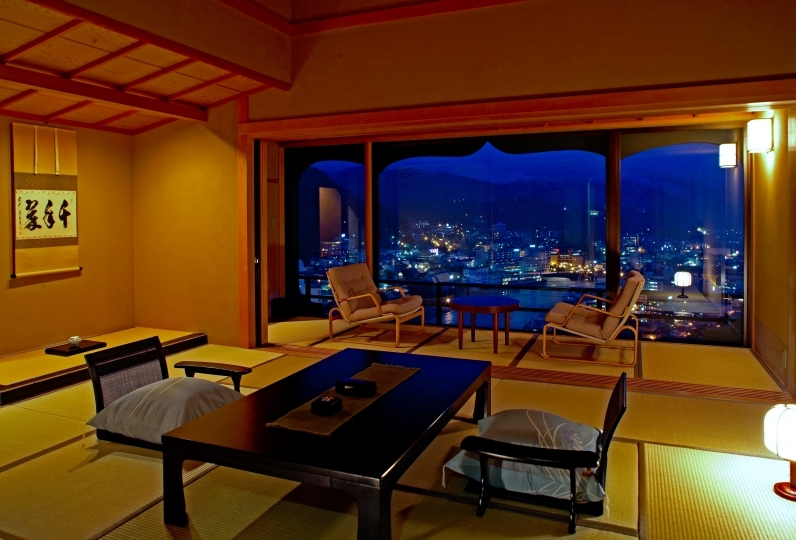 All rooms have the view of Miyagawa river and the wonderful seasonal landscape. 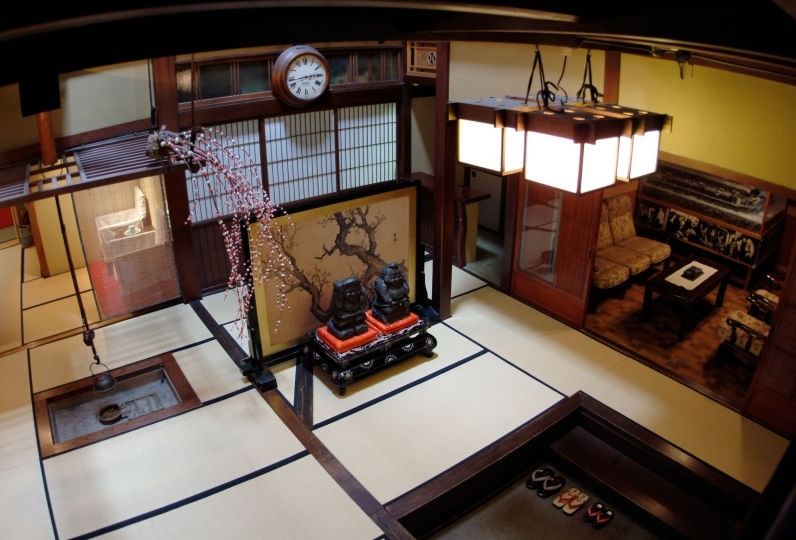 The serene Japanese style rooms seem to be connected to a miniature universe. It was the best! I will come again. Thank you for your attentive customer service. Also, it was an inn that you wanted to come. 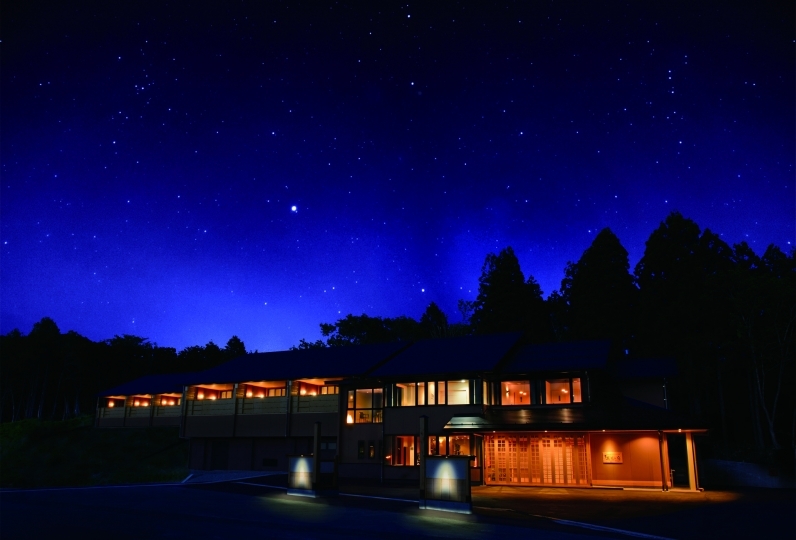 Our hot spring was registered in 2010 by Gifu prefecture as "Hida Kuraiyama Onsen". 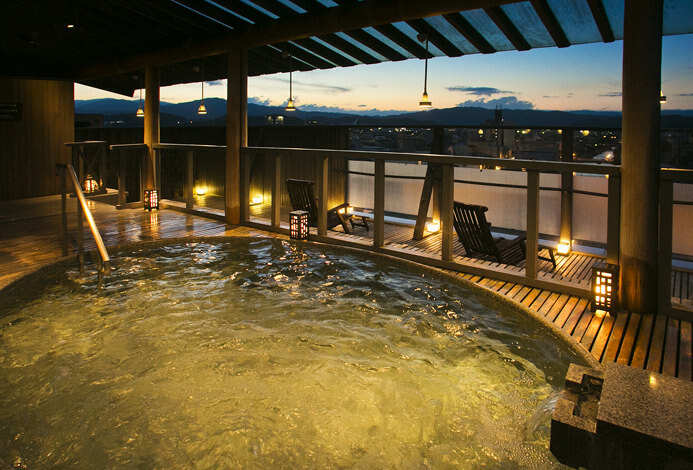 Our hot spring has a relatively high temperature which will warm you up until the following day. We offer you the hot spring directly from the source within our site in the form of two different baths: rock bath and cypress bath. A huge stone used for our rock bath release a little amount of radium which helps your body cells stimulated together with the fluorine contained in the hot spring. It is also known as "the hot spring of anti-aging", moisturizing the skin. Our cypress bath is fully made of cypress tree which produces a subtle fragrance of the wood. You can also enjoy the spectacular view from the large windows. After dinner you can enjoy various sake while having conversation with the scent of bamboo. We have 4 rooms that can accommodate the guests with their children (Kariyasu/Kuraiyama, Tenryou, Garyu, Ichinomiya). Please contact our Relux concierge desk for the details. ・The bath fee of 150 yen is not included. ※We prepare two-tiered Japanese bento for kid's. ※Miso soup and rice will be served free of charge for children. Approx. 20 minutes by car from JR Takayama Station. Pick-up service is available between JR Takayama Station and Wanosato.